The great theologian Charles Spurgeon once said, “… the singing of the pilgrims … is the most delightful part of worship and that which comes nearest to the adoration of heaven.” I couldn’t agree more, especially at Easter when we, as Christians, come together to celebrate the resurrection of Jesus Christ, our Lord and Savior. My fondest Easter memories are centered around singing together as a congregation. I can remember the church being filled with Easter lilies and other girls like me decked out in our new, pastel-colored Easter dresses. But more than anything, I recall everyone’s voice being raised to God in worship, praising Him for sending His Son to die for our sins. Including my own. My favorite Easter hymn is “I Know That My Redeemer Lives,” penned by Samuel Medley (1738 – 1799). I know that my Redeemer lives; what comfort this sweet sentence gives! Medley’s grandfather taught him about Christ but, as a young man, Medley was interested in other things. It wasn’t until he faced imminent death due to an injury, that he turned back to the God his grandfather taught him about, and gave his heart to his Redeemer. These lyrics speak to me mainly because of one word – my. Like Samuel Medley finally understood, I know that Jesus is “my” Redeemer; He came to die for me, specifically. Of course, He came to die for all of us. But isn’t it wonderful to know that each of us can profess Jesus as “my” Redeemer; He loves all of us and claims each of us as His own. Dating back to the 14th century, this hymn is one of the oldest on record. In 1739, the composer Charles Wesley wrote a poem based on this hymn. Titled “Christ the Lord is Risen Today,” Wesley’s poem was quickly put to music and soon became a favorite. 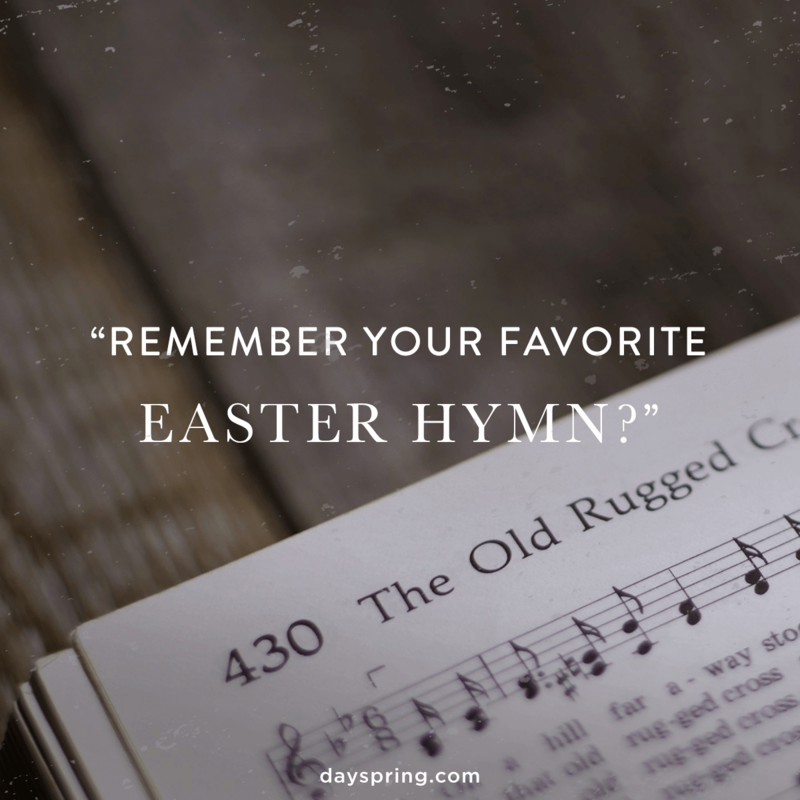 While Wesley is credited with composing as many as 6500 hymns, this particular hymn stands out and is still used in Easter services today around the world. Fueled by the student’s questions, Ackley wrote these popular lyrics. His refrain is joyous, reminding us all that Jesus rose from the dead as promised and remains alive today in the heart of every believer. 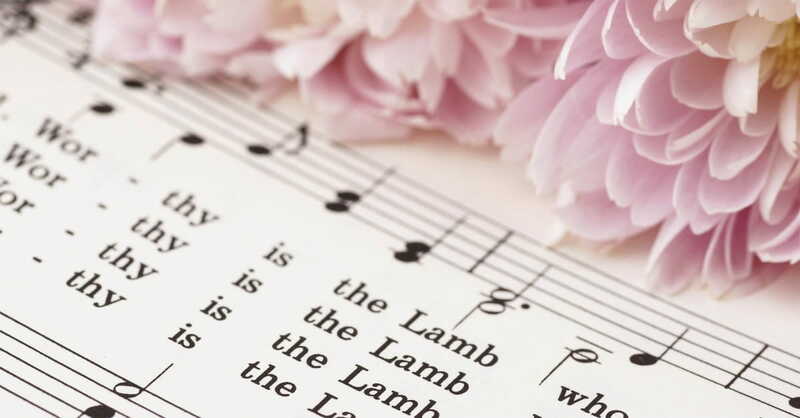 We are fortunate to have so many beautiful Easter hymns to sing together, as one body. And it doesn’t matter if our voices are choir-worthy or a bit off-tune – we know that our God takes great pleasure in hearing our voices being raised to Him in worship. This article originally appeared on DaySpring.com. Used with permission. For even more inspirational articles, shareable Ecards and hundreds of Christian tools and resources, check out DaySpring.com today!